First of all, restaurant de Leest, owned by Kim Veldman and Jacob Jan Boerma opened its doors in the summer of 2002. 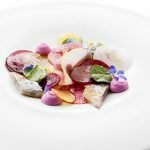 Since 2013 the restaurant is awarded with a third Michelin star. 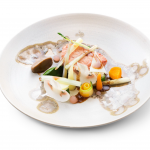 Indeed, Chef Jacob Jan Boerma is renowned for his use of seasonal and regional products. He learned the latest and best cooking techniques all over the world; acquired knowledge of a variety of local ingredients while in Scandinavia, discovered exciting new ingredients and flavours from different continents, and enhanced his general gourmet expertise during trips throughout Europe. “Don’t forget the quality of the product, it is key for a successful dish!” is very important to him. 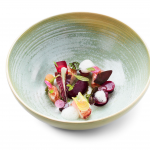 Jacob Jan Boerma translates all of these experiences into cosmopolitan and creative dishes for his sophisticated clientele. Most of all, his perfectionism is evident in the way he prepares flavourful dishes. This has been acknowledged throughout his career. 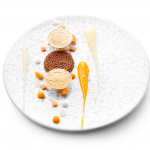 Culinary art of the very highest standard, in which his restaurant was ranked number 2 of the best 500 restaurants of the Netherlands, 19.5 points Gault Millau and Chef of the Year 2010. However, Jacob Jan Boerma didn’t just earn his stars by cooking. Yet, they are also the result of many intrepid trips throughout the culinary world. He learned the latest and best cooking techniques in Spain. In addition, he acquired knowledge of a variety of local ingredients while in Scandinavia. Also Jacob Jan Boerma discovered exciting new flavours and components in Asia, to name just a few examples. He also enhanced his general gourmet expertise during trips to France and Italy. 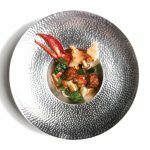 Most noteworthy, his perfectionist mentality is evident from the way in which he prepares highly flavoursome dishes such as lobster, slowly prepared with lime and eastern spices as well as different textures of carrots. Or his Japanese algae lacked sea bass, shellfish and crustacean with fresh cucumber and Japanese flavours. 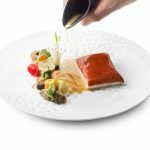 A further example of Jacob Jan Boerma’s artistic culinary skills is provided by his Hazelnut Sensation of 2010 – a culinary journey through the different tastes and textures of hazelnuts, with vinegar, roasted hazelnuts liqueur and organic hazelnut oil.